Conquer cancer (one person at a time, starting with you and your loved ones) via a scientifically rigorous, data-driven, elegantly simple metabolic protocol. We have a bunch of free resources below. And... We have a LOT more coming soon. If you'd like us to share the new stuff with you, let us know! We know you’re busy. (And perhaps at least a little tired and overwhelmed.) That’s why we’ve created classes on How to Conquer Cancer and notes on great books that give you more (actionable!!) wisdom in less time. Over 1 million people have watched so far! PhilosophersNotes are 6-page PDF + 20-minute MP3 summaries of some of the best books on how to Optimize our lives. 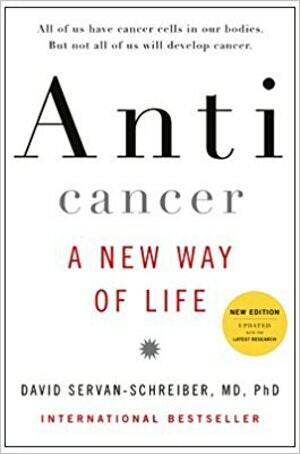 We have Notes on these great books focused on cancer. We have the Notes presented here in the order in which I read them. If you go in that sequence, you'll see how my thinking evolved and how the wisdom builds on itself. 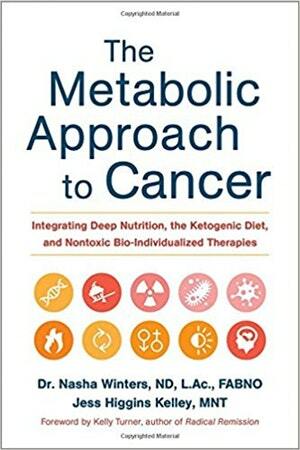 Although all these books are all great, if you only read one book, I'd recommend Nasha Winters' The Metabolic Approach to Cancer. And the journal article by leading scientist Thoms Seyfried: Cancer as a Metabolic Disease. I got this book immediately after my older brother had a major surgery and was diagnosed with cancer. David Servan-Schreiber, MD, PhD, was a clinical professor of psychiatry at the University of Pittsburgh School of Medicine and published more than ninety articles in scientific journals. David was diagnosed with brain cancer at 31 years old. At the time he was very skeptical of anything but the well-known, traditional Western therapeutic approaches. But, as he drilled into the scientific literature, he realized just how important Optimizing the “terrain” within our bodies is to the prevention and treatment of cancer. This book is an overview of what he discovered. It’s incredibly thoughtful and thorough. Big Ideas we explore include Genes vs. Habits, cutting off cancer’s supply lines, the three keys to nutritional detox, the anticancer mind and the best protection against cancer. This is the second book specifically on cancer I’ve read after my brother Rick was diagnosed with cancer. (The first book was Anticancer.) Travis Christofferson is a science writer. 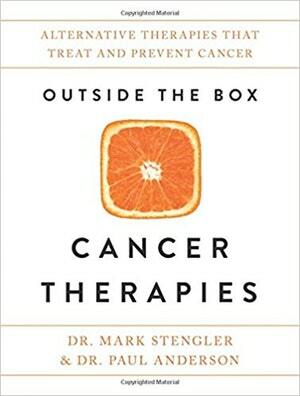 In this great book, he provides a compelling look at the history of scientific research on cancer and the traditional therapeutic models offered—juxtaposing the (traditionally accepted) Somatic Mutation Theory (or SMT) with the (much more compelling) Metabolic Theory of Cancer. Big Ideas we explore include the fact that we’ve spent $100 billion researching cancer and spend $100 billion annually on cancer medications and we’ve seen ZERO improvements in the real death rates from cancer since the 1950s. We look at the one prime cause of cancer (via the Warburg Effect), a fascinating experiment with “recon” cells demonstrating that it's the cytoplasm (not the nucleus) that drives cancer, how to starve cancer and a vision of cancer clinics in the future. This is our fourth Note specifically related to cancer I created after my brother’s diagnosis. The Note is on an open access article from the scientific journal Nutrition and Metabolism that Nasha Winters says is a “must read!” (I agree! Super compelling.) 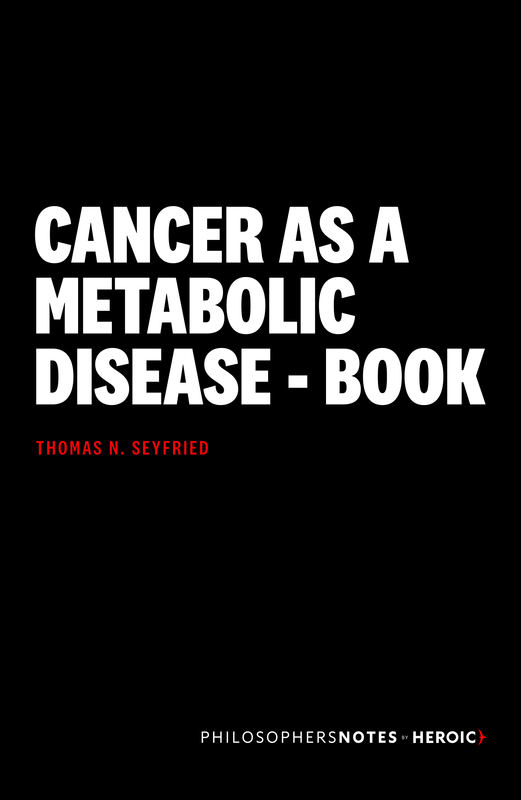 Thomas Seyfried is the leading research scientist making the case for the metabolic approach to cancer (vs. as we’ve discussed, a genetic approach). He and Laura Shelton brilliantly and lucidly unpack the case for cancer as a metabolic disease. Bonus: Your brain gets a nice workout as every word is chosen wisely for peer-reviewable hardiness. Big Ideas we explore include the genes vs. metabolism discussion, why your mitochondria are so important, and the two key therapeutic responses if you believe the metabolic approach. This is the fifth Note I've created specifically on cancer after my brother's diagnosis. 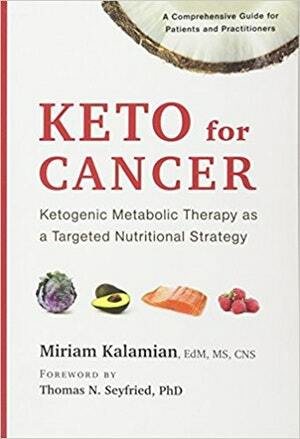 Miriam Kalamian is one of the leading nutrition consultants focused on cancer. She helps people approach cancer with a therapeutic ketogenic diet. In fact, she's my brother's day-to-day nutritional consultant. She has been AMAZING. (And, given the fact that food is, ultimately, our most powerful medicine, in many ways I consider her our brother's primary care physician. :) People have asked what nutritional approach we're following. THIS is it. The book is PACKED with wisdom on, as the sub-title suggests "Ketogenic Metabolic Therapy as a Targeted Nutritional Strategy." Big Ideas we explore include: Ketogenic Metabolic Therapy 101, the basic plan, "Diet doesn't matter" - Your Oncologist | "Yes, it does." - Your Cancer, Boost + Ensure (eliminate to boost and ensure well-being), and the importance of measuring glucose and ketones daily. 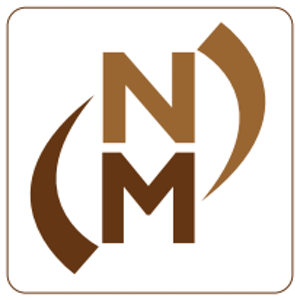 by Dr. Mark Stengler, N.M.D., Dr. Paul Anderson, N.M.D. This is the seventh Note we’ve created on books specifically on cancer. Kelly Turner is one of the world’s leading researchers and psychotherapists in the field of integrative oncology. She got her Ph.D. from UC Berkeley (one of the best graduate programs out there) studying the remarkable stories of people who were told they had a limited amount of time to live and then RADICALLY defied those odds. In fact, she’s studied over 1,000 (!) 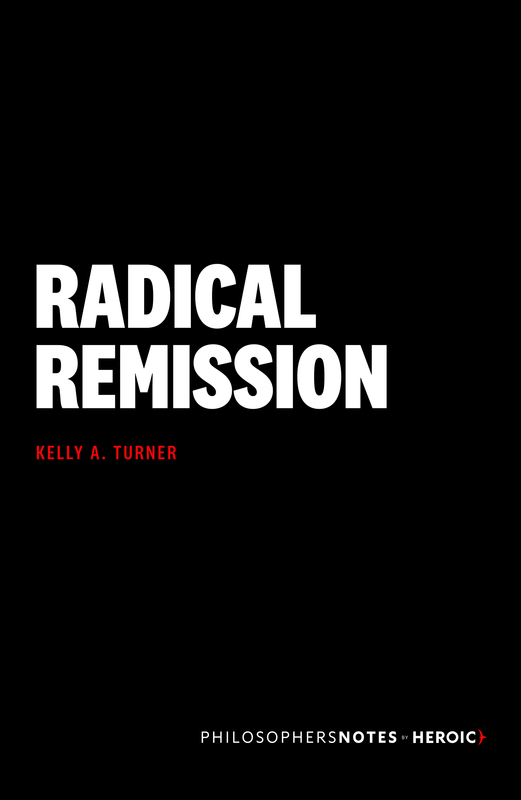 case studies of what she calls “Radical Remission.” In the book, she shares the nine “key factors that can unlock your pathway to dramatic healing.” Big Ideas we explore: The definition of Radical Remission, the #1 key factor (hint: change your diet! ), being a patient vs. a CONQUEROR, symptoms vs. systems, epigenetics, and identifying your reason for living. This is our eight Note on cancer books. It’s also our second Note on Thomas Seyfried’s work. We started with the journal article also called “Cancer as a metabolic disease.” Seyfried has taught and conducted research in the fields of neurogenetics, neurochemistry and cancer for more than twenty-five years at Yale University and Boston College. He is the leading scientist pointing to (and nearly screaming at!) 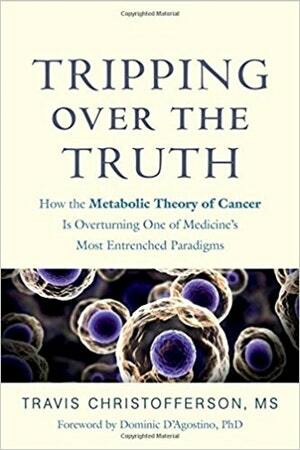 the SUPER-compelling evidence that says cancer is caused by dysfunctional energy metabolism—providing evidence that the genetic mutations are a secondary, downstream epiphenomenon of that primary cause. Big Ideas we explore include the metabolic theory vs. the genetic theory of cancer, nuclear-cytoplasm studies (perhaps the most powerful case for the metabolic theory), metastasis (Mr. Mo builds your MOAT!! ), apoptotic vs. necrotic cell death (aka naturel/nontoxic vs. unnatural/toxic), and the cancer solar system (make sure the metabolic cancer-sun is in the discussion!). Clifton is the Editor-in-Chief of Fortune magazine. He is the author of The Truth in Small Doses in which he provides compelling data on the status of our War on Cancer along with ideas on how to win that war. This is the ninth Note on cancer we’ve done so far. I picked this book up after Travis Christofferson referenced it a couple times in Tripping over the Truth. 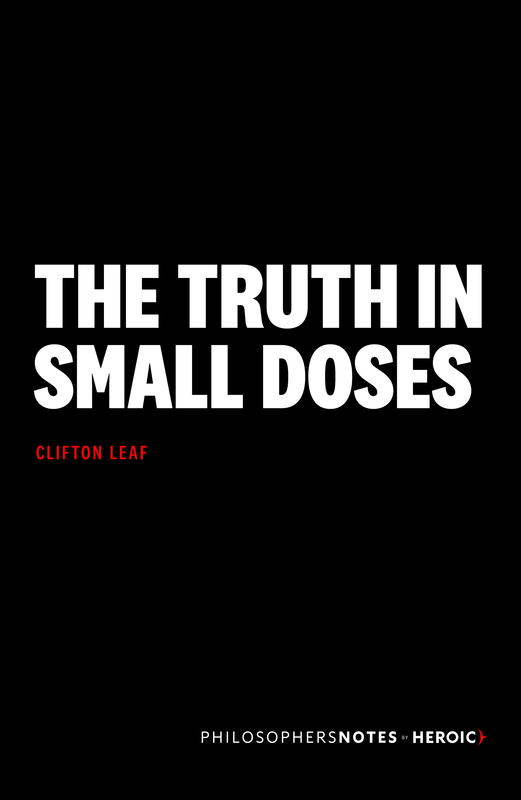 Clifton Leaf is a great writer and the Editor-in-Chief of Fortune magazine. He tells us that nine years before he wrote this book he began his reporting on cancer with a five-word question: How did we get here Specifically, Leaf wanted to know: How did we get to a point, 40+ years after Nixon declared War on Cancer, where the real death rate is, essentially, the same as it was in the 1950s? That’s a great question. And, he provides a powerful look at what’s gone wrong and how to fix it. Big Ideas we explore include the power of taking a different route to the summit, the truth (but only in small doses), dogma vs. science, the power of prevention, and the power of counting—aka, the truth in large doses. This is the 10th book on cancer we’ve featured so far since my brother’s cancer diagnosis. Although brilliantly written (Mukherjee won a Pulitzer for it), I didn’t start with this 570-page tome because, I read this book last because, frankly, I wasn’t interested in starting with a book that featured, as per the inside flap, “cancer as the protagonist.” I wanted my BROTHER (and you and your loved ones) to star as the conqueror of cancer, not the other way around. 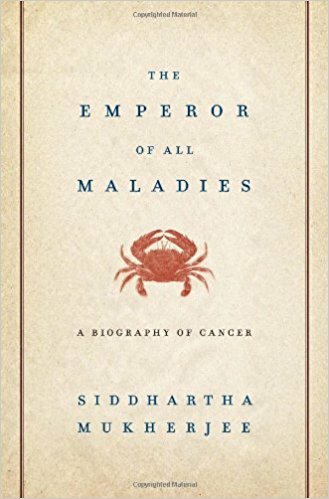 Alas, frankly, this book was painful to read as Mukherjee is a devout follower of the “cancer is a genetic disease” camp—which is why, from his vantage point, cancer looks unbeatable (and why, from my vantage point, we’re *losing* the War on Cancer). This Note is a little different than all the rest in that we’ll take a critical look at the underlying premise of the book (i.e, that cancer is primarily a genetic disease) and present a way to conquer the emperor (by seeing cancer as a mitochondrial METABOLIC disease). Prefer your wisdom in micro-doses? Fantastic. Check out our series of "Optimize +1s" on conquering cancer. Elizabeth Blackburn won a Nobel Prize for her research on telomerase — the enzyme that nourishes our telomeres. She wrote a book called The Telomere Effect with another world-class researcher named Elissa Epel in which they tell us just how powerful our telomeres are. In our last +1, we talked about a super powerful way to keep your telomeres nice and long. Specifically: By seeing the stressors in your life as Challenges rather than as Threats. Our key practice? Saying “Bring it on!” in response to those stressful situations. In our last +1, we talked about just how important it is to have a sense of Empowerment when we approach life — especially if we’re dealing with something like cancer. Let’s talk a bit more about cancer and how to fight it. Which Matters More for Cancer? Continuing our Anticancer theme, let’s have a pop quiz! What percent influence would you guess our genes have on the likelihood of getting cancer vis-à-vis our lifestyle habits? Genes vs. habits. Which is more impactful? Seriously. Take a moment and think about it. Continuing our Anticancer theme, let’s take a quick look at the key things to consider nutrition-wise, largely inspired by David Servan-Schreiber’s great book, Anticancer. Stephen Jay Gould was one of the leading scientists of the 20th century. A Harvard professor and popular evolutionary biologist, he was known as the second Darwin. He was also diagnosed with a virulent form of abdominal cancer at 41 and wrote a great, four-page essay documenting his experience analyzing the statistics of his case. Let’s wrap up our series on Conquering Cancer by finishing where we started. We know that one of the best ways to fight cancer (and lengthen our telomeres and enjoy our lives!) is to respond to life’s stressors with a Challenge response rather than a Threat response. A couple +1s ago we talked about taking a systems approach to disease vs. just a symptoms approach. We referenced Dr. Junger’s metaphor of a wise gardener tending to the roots. Pop Quiz: What % of Cancer is Genetic? Genes vs. Metabolism <-- What’s the REAL Cause? Cytoplasm vs. Nucleus: Which Drives the Cancer Show? Sign up for updates to know when we release new stuff. Download the app and get more wisdom in less time⁠—⁠on the go.